Increase retention and referrals by educating your patients – they’ll value your care, stay in care and refer others! We’ve given our classic, customer favorite a fresh new look and updated content for 2017! 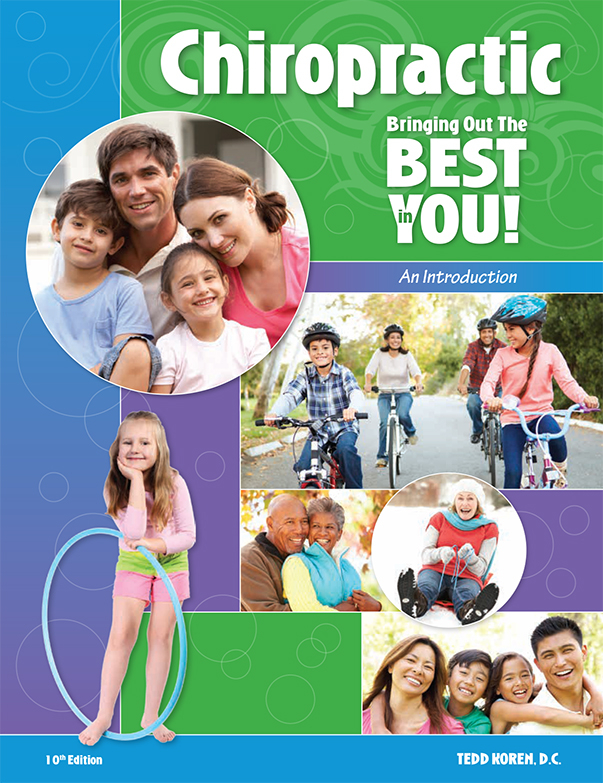 Comprehensive introduction to chiropractic, 8 1/2” x 11”, 38-page book covers all the pertinent chiropractic topics. Educates your new and prospective patients on how chiropractic works. Designed specifically for you to personalize it to the unique health concerns your patients have for themselves and their loved ones. Makes it easy to turn your new patients into lifetime patients, who also refer their friends and family. Now printed on FSC-certified paper sourced from well-managed forests – we’re concerned about your health, your patients’ health and the health of the environment. Add this book to your patient education program today!